We had a cross country rider in the shop on Friday of last week and again in the morning on Saturday. He was needing some maintenance on his Trek 520. wheel repairs, broken spokes, a much needed headset adjustment and handlebar adjustment too. we reset his front bag so that it wouldn’t rub on the tyre anymore. This guy, Chris, started in S.Fransisco, traveled to Dallas the up to home in Chicago on his way to Maine. He has a sponsor and the ride is for Childhood obesity. I guess he started at 500+ lbs!!!! Check him out at his facebook page, breakingthecycle4400. 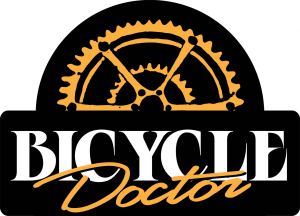 We love to help long distance riders here at the shop.